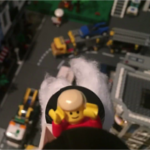 Forums - Bricks in Motion » Contests & Festivals » SHAC 2 Full Results! Topic: SHAC 2 Full Results! 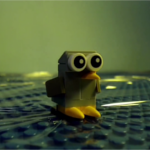 Bubble is an endearingly cute film that easily won over the judges. The brick-built bird is beautifully constructed, as is the walrus. Both characters are memorable and adorable. The water effect is nicely done as well. Overall, this film, for as simple as it is, really shows how less is more. The simplistic & sympathetic story and cute characters really help this entry to shine. - Easily deserving of first place! Please give us a tutorial on how you constructed the bird and walrus! If I had only one word to describe this one, it would be 'cute'. It's certainly a very sweet little film with some inventive character designs and great animation. It's very simple, but also a very sweet entry and worthy of ranking highly. Fish Food is a great example of just how well a film can be made in just one weekend! The sets are full and enjoyable on the eye, and the premise of the story is easy to understand, while also entertaining. The beginning of the film does a great job of creating suspense, while the rest of the film whimsically drives the action further until the joyful conclusion. This truly is the little fish that could. This was a really fun one. I liked the fish's journey to the ocean and the different ways it got to the next step of its journey. It was fun and incorporated the theme nicely. Marvelous film! The animation is solid, and the directing is enjoyably on the experimental side - but where this film really shines is in its story and unique swimming segments. The climactic undersea battle between divers and the sea monster is ambitious & to a scope most would shy away from attempting for a timed contest. There are quite a few techniques here I might try using myself in the future! And thanks for uploading a behind the scenes tutorial. For those who haven't seen it, check it out here. 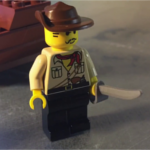 This film is unique for mixing multiple different scales of figures. The Pagano-inspired brick built character is happy and energetic, the minifig dressed as a Lego brick is entertainingly out of nowhere, and the rarely seen Technic figure is great to see as well. Each are well animated and lend to the quirky little story. 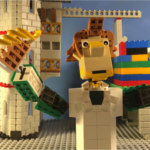 Overall, this is a very solid entry that beams with individuality and uniqueness - not just in this contest, but in brickfilming as a whole! This is a great example of a film that, while perhaps not exemplary in any one aspect, really excels in combining all aspects competently to a better end result. 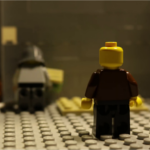 The animation is smooth and realistic & accentuated through the wonderful use of brick-built motion blur. 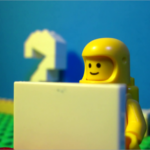 This is one newbie animators should really study frame by frame! There's a lot to learn from here. The sets are magnificent as well - and perfectly lit, giving the film a visual distinctness compared to a lot of the other entries. Well done overall! 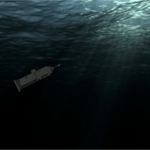 Claustrophobe on a Submarine has some really nice cartoony animation. I particularly enjoyed the shot when the captain falls over. It was fast and to the point, but also had some really nice motion blur. I also think it had some really inventive use of pieces, especially the ice cream piece for the steam. Story-wise I though it was very creative and original also and it stood out as one of my favourites. Initially, I scratched my head on whether or not "lucid" actually portrays a lucid dream. 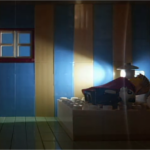 However, upon further inspection (and help from the video's description) I noticed the subtle detail that all the characters in the dream are more or less extensions of himself and the toys in his room. That little detail alone really makes this film. The excellent bedroom lighting, pacing, and execution don't hurt either. All around marvelous entry! I think Joshua Nelson is really starting to grow as a brickfilmer, Lucid easily being one of his strongest films yet. It has his unmistakable style to it, but the thing that really hooked me was the trippy nightmarish visuals. Some of the imagery in this film was really other-worldly. The monster near the end, with the wiry arms really stuck with me as something that is genuinely scary. Overall, I think he did a really good job with this one. I'm usually not a big fan of nonlinear storytelling - especially in film. Too often it's used as a crutch to artificially heighten drama and suspense by keeping the audience a few steps behind the characters. 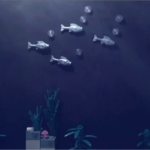 In the case of Beneath The Surface, however, this style really ads to the film. It's nice to begin on a moment of "what's going on" only to then be sent back in time to learn more about the main character and really sympathize with him for all he went through. It makes the ending shots, a close up and a far shot of his back to the crumbling city, all the more powerful and striking. Excellent job! 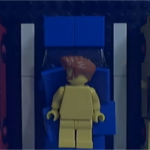 I love brickfilms that tell darker stories. 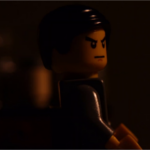 Beast, Grace, and Picturesque are all films that utilize Lego as but the medium, and tell really worderfully dramatic stories regardless. Last year, Chris Major did an excellent job of making such a film for SHAC with his entry, No Bargain. This year, The Mayor was one of my instant favorites. Now I want to know what happens next! You've got to make a sequel sometime. Although many of us might not speak German, the story here was easy to follow along to, regardless. If anything, I think this only added to the impact upon the utterance of the vaguely familiar "meine familie" or "my family" - a thought that plagues the main character towards the end of the film. This really ends the otherwise cheerful film rather darkly; a bold move that really helped set this entry apart on repeat viewings. This is one of my personal favorite films to come from this contest, and I'm sure I'll keep watching it for years to come. Wonderful job, AoW! 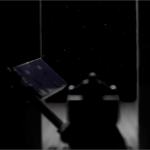 SURFACE was, surprisingly, one of the first few entries submitted this year. Nearly unbelievable considering the masterful cinematography, wonderful color and letter mod integration, and striking visuals. My favorite segments here being the spaceman bits. Overall, wonderful film, if a bit flashy. 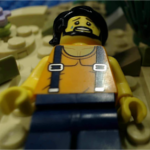 I wish I could make brickfilms that looked like this! Last Brick's entry (great studio name, by the way) stands out above the rest for its extensive use of compositing for an all-around massive scale. The underwater scenes here really shine, as the size of the submarine and sluggish animation really help to sell its tremendous weight. The in-sub scenes, too, are really well done. 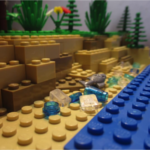 The water effects are amazing, and the dramatic story really makes the film memorable. 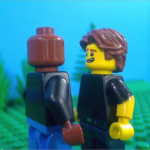 As stated previously, I'm a sucker for darker and more serious brickfilms, and it was wonderful to get another one through this entry! This is another wonderfully made film. (Glad to see so many this year, as well as a fair few last year!) While the punchline might not be for everyone, I found the film very well made. 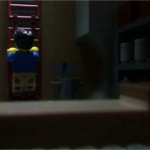 A lot of the actions here (pushups, climbing up/down ladder, etc) is a bit rarer to find in brickfilming, and it was nice to see them all pulled off nicely here. The animation is great and I'm a big fan of the bunker set here. Overall excellent entry. "Bunker Boredom" is kind of like the comedic counterpart to "Beneath the Surface". I think it's a fun concept, having the character stuck in a bunker, thinking the world is doomed, only to find everything is fine. The production values were really good and as a whole, I think this made for an enjoyable film. The visuals alone in this film are quite impactful. The use of color is an aspect often overlooked that's brilliantly done here. The island beach is a beautiful sunset, highlighted by the specific shades of blue used for the ocean. Underwater, the vibrant colors really give the sea floor life. The action, too, is well done and drives the story forward. The ending, a bit dark like a few of the entries here, nicely wraps up the war-torn action seen throughout the rest of the film. And who doesn't love Bobby McFerrin? Even in the minor key! For a time, I had this as my number one film. I really wish this could have ended up in the top 10 at least - but top 15 ain't half bad, either. 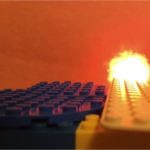 I found this entry, above all others, to be the most imaginative, creative, and fun to watch. Once Dr. Kilroy blew away the third wheel, I had absolutely no clue where the film was going or what would happen next - and this had me at the edge of my seat. 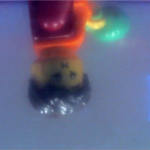 Reminiscent of William Osborn's Cut and Run film which I scored, and taking a cue from The Magic Portal, I love seeing Lego figures expand beyond the edges of the set and venture forward into the great unknown! I have absolutely no criticisms of this film. Sure, animation could be a bit smoother, and perhaps the sets could be expanded - but that all comes with time. As is, this is a marvelous film I'll be sure to look back on any rainy day. The execution here is fantastic, and I simply adore the resulting film. Think you'll do any more films with those two intrepid adventurers? Initially, I was tempted to leave my review as but a Shaquille O'Neal gif, but quickly thought otherwise. This is really a well made little film that is an excellent play on the contest's name. A shame it ended up so low, but it did have a lot of stiff competition. I, myself, am a huge fan of comedies, however, and it was nice to see some great ones this year - this film included. 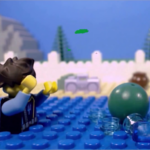 Mr. O'Neal has certainly done some very funny things, and it was great to see those shenanigans continue in Lego form. Although this film is rather short, it's perfect commercial length. Just to think what the reaction would be if this aired on TV! 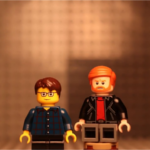 Films with a meaningful message are all too rare in brickfilming. It's nice to see one, albeit short, entered this year. I think the message really holds up well, and the animation and set design really sell the story well. Would love to see more films made in this vein. Aside from immediately recalling one hilarious Jontron bit, I thought this film was another great stand-out this year. Although the story starts off rather slowly, things quickly pick up upon the rocket's launch. That shot of the ship launching into space was amazing, and the action upon the moon was exciting and fun. I love me a good old fashioned adventure - and this is a great one! This is a wonderful story, beaming with originality from its quirky premise; reminiscent of one of my favorite episodes of Regular Show. Great job making a sci fi film with a comedic twist, Foo Films. This one is certain to bring a laugh upon repeated viewings. Nice to see a crowd scene animated too! I do have some issues with this film, such as some of the voice acting and the auto-focus near the beginning. The thing that really pushes up for me is the concept. The punchline at the end really worked for me and reminded me of a classic THAC entry. Sad to see such a great film rank so low. Aside from Bubble, of all the entries this year, I've probably watched The Weird Pool the most. Similar in setting to A Strange Day at the Beach, I actually preferred the concept here - mostly for its wackyness. Coming from someone with a similarly "out there" imagination, I've often imagined sharks, horses, and creatures of all kind interacting with hotel pools while on vacation. This entry is like a perfect representation of my mad fantasies put to film. Great film to watch while bored - it's sure to liven up your day with its off the wall premise and building suspense. The ending, especially, is where this film all comes together. 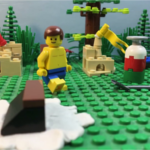 Really great job at building the suspense and excitement, BrickAnimator! This is another film that I'll be sure to watch over and over again. Surface Level Problems remains one of my favorite entries of the entire contest. Upon deciding on the theme of "surface" I expected a few films dabbling with aquatic themes, perhaps one or two surrounding a problem that surfaces, and maybe one or two dealing with the outer faces of an object. I had absolutely no idea anyone would reference the Microsoft Surface Pro in their film! Ha ha. For such a singular interpretation of the theme, I commend you, Innovator. I had this in my personal top 10. Great, great film! The letter mod is well implemented, and the semi-meta story, although short and simplistic, was a nice change-up from the numerous other "tighter interpreted" films. Awesome to see someone really bend the theme in a unique and creative way for a solid entry! Excellent work. I've been into minecraft for just about as long as the game as been around. I remember playing beta way back when, and swiftly snatched up a copy of the game when it came to consoles. Nathan Wells' Pixelated Pickaxe series was, and still is, one of my favorite forays into the game. When Lego got the rights and began releasing sets, I was even more excited! 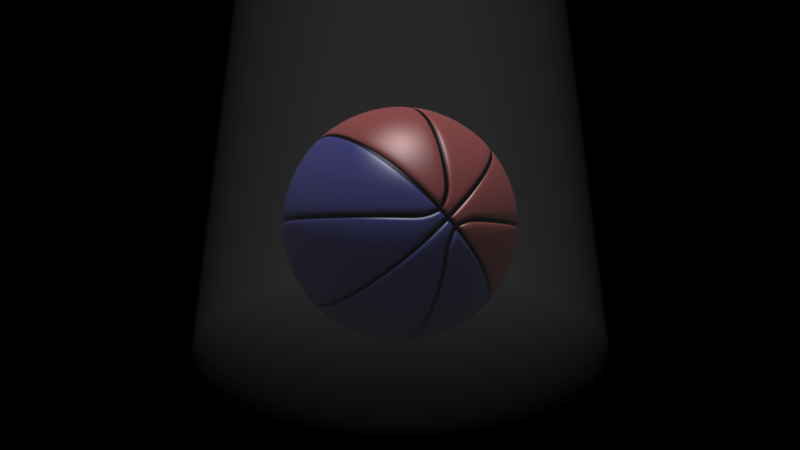 However, apart from a handful of standouts, very few seem to utilize these figures and sets. - At least not usually very successfully. This film, while perhaps not as relevant to a non-player as to a fan, is still a great little story. Although I would have liked to have seen perhaps a bit more of the underground cave, the character's inner monologue is enough to really help the story continue along. 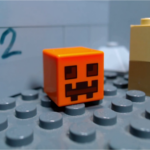 - It's one all to familiar to the Minecraft player, and the addition of the Castaway-esque silent Jack-o-Lantern friend is a nice touch. 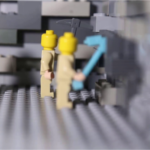 This is a well made film making use of some of the various Lego pickaxes to great effect. I enjoyed watching this entry, as, similar to Trapped Below the Surface, its story was a bit on the darker side than your usual contest entry. However, it was a nice change to see such a dire situation resolved happily, with all of the miners escaping the collapsed cave to the welcoming grassland above. Nice entry! One does not simply feature "Hello There" without the proper response. In all seriousness, though, this was a well made entry, and a nice debut film! 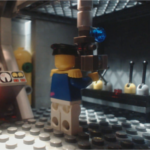 I like the concept of showing the fictional "behind the scenes" of a film to show how, even with the most simplistic of brickfilms, not everything is as it appears on the surface. Getting a little introduction to all of the cast and crew beforehand really added to the enjoyability of this entry, and I'm glad you decided to do something along this concept. I hope the crew are up for a sequel, because I sure would love to see one! Rioforce, rioforce, rioforce... what would SHAC be without your creatively hilarious entries? I do hope this becomes a recurring thing. I don't know if I could go on if it weren't for these masterpieces of cinema! Great job to everyone! And a special thanks goes out to the other judges for making this contest possible! 25 entries! I am so honored to have indirectly spawned so many films. Thank you all for keeping SHAC alive, and I can’t wait to see you all next year when SHAC returns with a vengeance. Re: SHAC 2 Full Results! Great work everyone! It was really fun participating in SHAC this year. Awesome job to all who entered! And thanks so much to Dyland, TheLoginProductions, and co. for hosting this contest and making every ranking feel personal with awesome feedback! Great job, everyone! There were a lot of neat entries this year. Huge congrats to Lainie, I'm so proud. Such an excellent film. The write-ups for each entry are really thoughtful, props to Dyland and William for putting the time into those. This was a great SHAC, I'm looking forward to next year! Just wanted to say thanks to everyone for this contest! I learned a bunch in this first contest, and I'm grateful to be part of an awesome community. 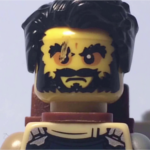 Let's keep brickfilming! !